Last night the weather was good so I ventured down to Campbell Valley Park to see what I could find in terms of wildlife and wildflowers. A whole lot of both as it turns out. While I was setting up this shot of a Western Trillium (Trillium ovatum) a Rufous-sided Towhee (Pipilo erythrophthalmus) decided to land on my camera. I have spent hours in the past trying to get a shot of these guys in my backyard, but they enjoy hiding in the underbrush and are not very interested in people being near them. This one, however, didn’t seem to think of me as a threat – at least up to the point where I couldn’t keep my mouth shut and said “are you kidding me” out loud. I guess I was surprised. The Towhee was not amused and fled. Trillium aren’t as skittish so I was able to get this shot with my macro lens. A lot of wildflowers are just about to bloom in the park, so I will be returning there shortly to try to get some more photos. 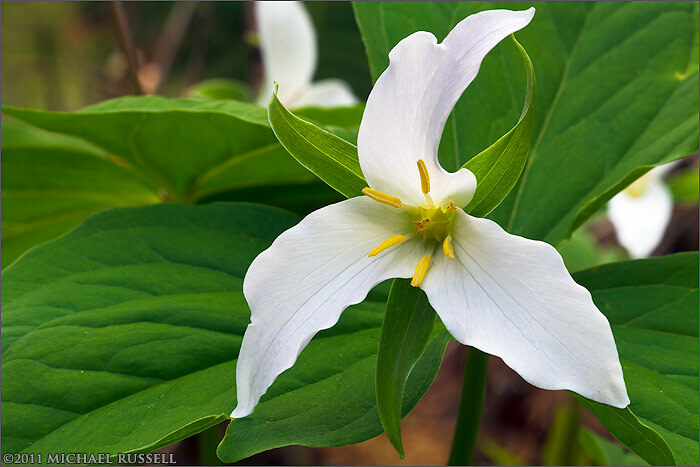 The Western Trillium is considered a Species at Risk (Yellow Listed) in the Fraser Valley due to habitat fragmentation.